Bernie opens up about bipolar disorder, and how it almost destroyed him. He shares how he not only learned to manage his condition, but was able to turn his life around, and become a tremendously successful entrepreneur. Are you looking for a speaker who’s entertaining, engaging and inspiring? Bernie customises each speech so that you get a speech that’s not just motivating, it’s exactly the message you want conveyed to your audience. Learn more about Bernie and his new book! Fill up the form below and we will send the free chapter in your email. 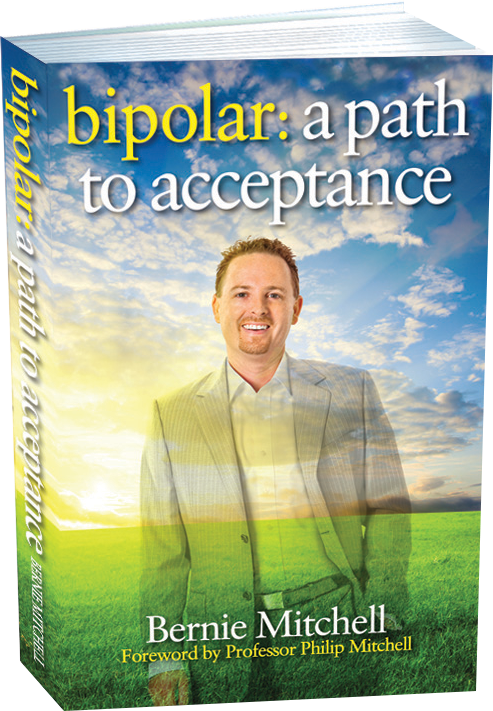 Firstly… You should read this book Bipolar: A Path to Acceptance. It’ll make you laugh, cry and deeply move you in a way no other book has before. …then ask them to pass on this remarkable book to their friends and family. On opening up to the public about his battles I find him to be extraordinarily brave. For Bernie to share his experiences is not only a healing experience for him, but it also allows other sufferers to know that there are other people, such as Bernie, out there and that you can overcome these hurdles and become successful and happy. I applaud Bernie Mitchell for his bravery in telling his story publicly. Though our lives may be worlds apart, I am really inspired by Bernie’s story. It is a classic story of struggle, despair and triumph. But most of all it shows the power of setting goals, persevering and keeping yourself accountable. This unique book is Bernie’s story as he lived it. You will laugh, you will cry but most of all you will be inspired. 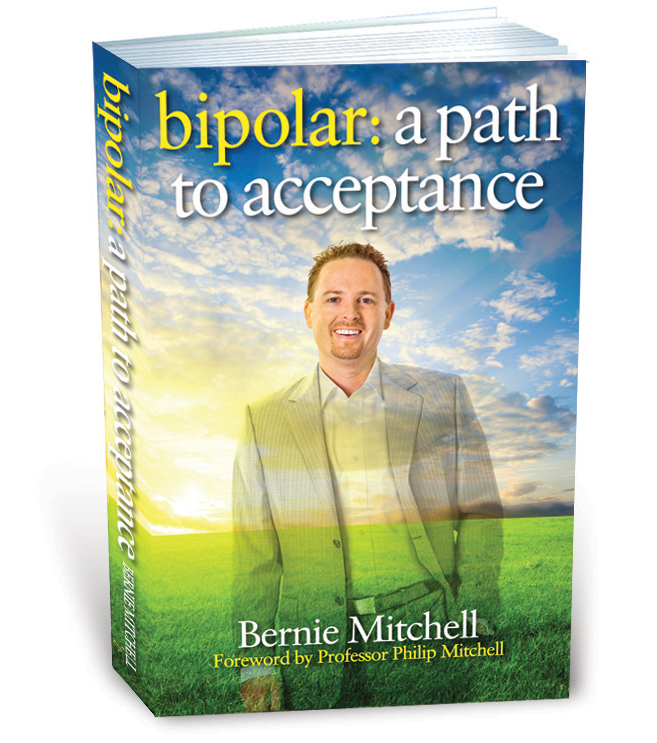 Whether you have mental illness or not, Bipolar: A Path to Acceptance is a wonderful read which will, without a doubt, encourage you to seek success in your own life. For many years, Bernie has wanted to write this book to get his story out. He wanted to help people understand mental illness and give sufferers and their families some hope amongst all the despair. To let you know that with the right help, support and inner strength you can do what you want to do, become who you want to be and have everything you desire.